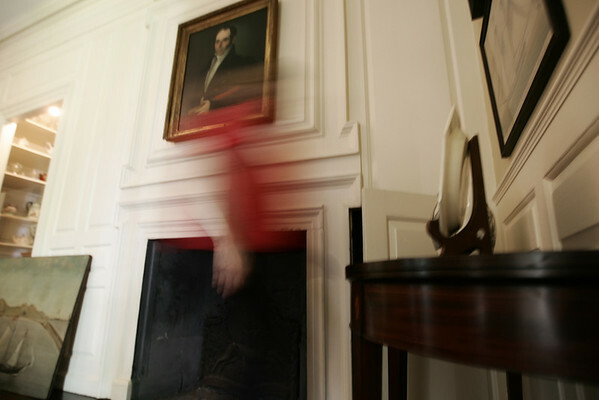 A psychic in the 1970's claimed to have had a vision of someone burning Jeremiah Lee's papers in a fire place in the mansion. Here Pam Peterson walks past the fireplace in Lee's office. Photo by Deborah Parker/August 20, 2009.